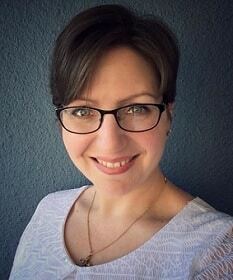 Today I chat with the super lovely Christina Britton, who is not only a fellow Historical Romance Author but she is also a fellow Patronesses of ‘The Drawing Room’, a Facebook Historical Romance Group, that I’m very proud to be a part of. Christina shares with us her Path to Publication relating to her debut novel ‘With Love in Sight’, which released last week with Diversion Books. Christina is just wonderful, and her book is awesome! I’m so excited to be able to feature her on my website, and share with you all her Path to Publication. So let’s get started!! I’ve been writing since I was fourteen (and I will NOT tell you how many years ago that was, though I will say that New Kids on the Block was quite popular). Though I’ve been writing with the hope of one day being published since I was a teen, it wasn’t until my second child started school that I truly put all of my focus into getting published. From that life-changing decision to the publication of my first book, it’s been four years. I live in a super small house that was built in 1915, and there isn’t any room for an office or even a desk of my own. And so I tend to write wherever I can. Right now I’m on the couch, as it allows my writing partner and pup, Miss Emma, to curl up with me. I also meet some writing friends of mine several times a week at a local bakery (which, funny enough, makes certain I don’t eat everything in creation like I do when I’m at home). As far as rituals go, I make sure I have water and tissues handy (allergic to everything), and that’s about it! I’ve quickly learned that I have to grasp at any chance I can to write, whether that’s scribbling on a receipt while waiting at the school to pick up the kids or on my AquaNotes in the shower, and so I can’t be too picky. I’m what I like to call a ‘plotster’, which basically means I’m a hybrid who does whatever feels right at the time. I’m very character driven, and so I can only plot out the key moments in a book; anything more and I begin to feel trapped in by the story and flounder. Writing ‘The End’? But seriously, I love the very beginning where I’m fleshing out these new characters and learning who they are so I can get into their minds. They are becoming people to me at that phase, and it’s kind of amazing. Also, that moment when you sit down to a blank file and type out the very first words of a story. Pure bliss! Characters, hands down. I let them take the helm throughout the book in order to up the emotional stakes. Each book is different; it all depends on what’s happening at the time (Do the kids have a long break from school? Have I gotten edits back for another book that I need to work on? That type of thing). Typically I will spend just a couple days fleshing out my characters and any plot ideas before I dive right in. I write linearly, and so will start at page one and go from there. I spend perhaps 3 months writing, maybe a month revising, then while the book is out with beta readers I will start work on the next one (I have to keep moving or I panic!). Once the feedback comes in I usually take a week or two to polish, then it’s off to my agent or editor. Typically anywhere from two to three books a year. I actually got my first publishing contract with Samhain via a Twitter Pitch. My agent had already requested my full manuscript, so I contacted her and let her know about the offer and asked if she wanted to represent me. I signed with her not long after. Then, to my dismay, Samhain closed. Thank goodness I had my agent. She got my rights back and immediately began querying other publishing houses. Less than a year later I signed with Diversion Books! I kept at it, even when my heart was breaking, even when it seemed like becoming published was far out of my reach and would never happen. That is I think the one thing that helped. I do wish I could be more patient. I can see a present under the tree for the entire month of December and have no wish to open it early, I love the suspense so much. But when it comes to the business of publishing, I am so eager to move forward that I tend to rush my fences. Don’t. Give. Up. If you keep at it, it WILL happen. First and foremost, this is a business. When you get that rejection (for me it was 26 before I signed with my agent—yes I counted), it is not personal, nor is it about you. And it doesn’t mean your writing is horrible either. Agents and editors are looking for that special something that calls to them. Keep at it and you will find that person who HAS to have your work. Oh, and stock up on chocolate. Lots and lots of chocolate. One thing I learned about using social media as an author is to limit promotion to about 20% of your posts. All other posts should engage your readers and provide them with something fun/useful. Do you have cooking in your book? Share recipes. Do you have an adorable pet? Share pics and stories. Love to travel? Post pictures from your travels and tips on travelling. Give your readers something that will interest them and keep them coming back! Book two of my Twice Shy series will be out in the fall, and I’ve already sent my publisher book three! Right now I’m working on something new, something super secret. Though I will say that my hero is modeled after Charlie Hunnam, so the eye candy is superb. 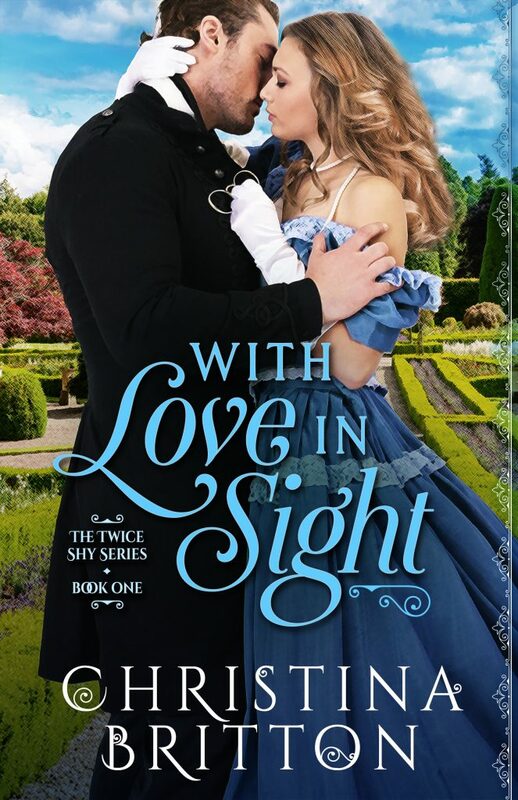 And for those of you who want to read Christina’s amazing debut book ‘With Love in Sightl’ just click on the pic below for more info. An aging spinster at twenty-six, all Imogen Duncan sees ahead of her is a life of servitude to her overbearing mother. Her London Season has passed and her desperate shyness and reserved demeanor have destroyed any chance for a match. As her younger sister Mariah begins her own Season with a selection of suitors, Imogen believes her chances for excitement are well and truly lost…Until a case of mistaken identity and an accidental kiss bring adventure into her life. Burying his guilt from a decade-old tragedy beneath a life of debauchery, Caleb Masters, Marquess of Willbridge is content enough to meet willing widows in dark gardens to numb the pain. But he is wholly unprepared when an innocent miss stumbles into his life, turning his superficial world on its head. Drawn to the rogue that mistakenly stole her first kiss, Imogen finds not a suitor, but a friend. Free to be herself for the first time in her life, she begins to see a new beauty in the world around her…and see a strength in herself she never knew she possessed. But when friendship turns to passion, Imogen will accept nothing less than Caleb’s heart. Can a healing of the past lead to the promise of a future together? She lives with her husband and two children in the San Francisco Bay Area. A member of Romance Writers of America, she also belongs to her local chapter, Silicon Valley RWA, and is a 2017 RWA® Golden Heart® winner.